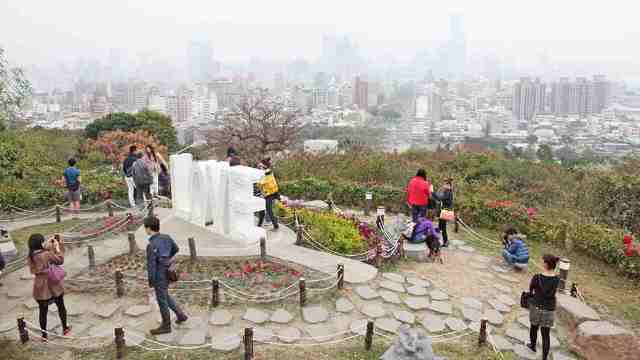 Shou Shan Mountain is southern Taiwan’s most popular peak. It is located on the western side of Kaohsiung to the north of the Kaohsiung Harbor. In the 17th Century, the ruling Dutch people called the mountain “Ape Hill” because it was teeming with monkeys. The monkeys are still there today, and still some people refer to the mountain as Monkey Mountain. Kaohsiung, on the other hand, is known as Taiwan’s Harbor Capital for the highly industrialized Kaohsiung port, which is at par with the best in the world. Kaohsiung port is considered the world’s sixth busiest port. The city is best known for its maritime trade and industry, but with natural resources as the Shou Shan Mountain and attractive parks as the Shou Shan Zoo, Kaohsiung’s tourism is fast catching up with Taipei’s. Other leading attractions that you might want to check out within the city are the Love River, Lotus Lake, Sizih Bay, Cijin Island and Kaohsiung Fisherman’s Wharf. The local people’s friendliness and the joys of shopping and dining in the city also effectively pull in tourists. There is no lack of visitors to Shou Shan Zoo, although it has been criticized for not taking care of its animals well. It may not be one of the best zoos in the world (definitely not in the same league with Singapore Zoo, Toronto Zoo or San Diego Zoo), but Shou Shan does regularly entertain group tourist programs and individual tours. It is open every day except Mondays and Chinese New Year’s Eve from 9:00 a.m. to 4:30 p.m. for an admission fee of NT$40. Children below 6 years old may come in for free. To get to Shou Shan Zoo on board the MRT and by bus, take the Orange Line bound for Yanchengpu Station. Get off at Exit 4. Walk to your right all the way to Hua Nan Bank and take Bus No. 56. Get off at Shou Shan Zoo. If you decide to drive, take the Sun Yat-Sen Freeway to the Jiouru Interchange. At Jiouru 4th Rd, turn left to Hua-an Street and left again to Gushan 3rd Road. On Wanshou Road, you will pass by Yuanhang Temple and then to the zoo.